Situated in the centre of Wasaga Beach the Georgian Circle Family Restaurant is no stranger to summer tourism. It offers a great variety of meals for the entire family. Ranging from its main stay of Steaks and Seafood’s to a great range of pasta dishes, burgers, sandwiches, and salads trying to appeal to the diverse crowds which visit Wasaga Beach but also to those that call it their home. Angelo and Christine Georgas opened their doors for business in June 1998 and since have established themselves as the best place in town to enjoy a meal. Angelo and Christine are not strangers to the restaurant business, owning and operating restaurants for over thirty years. Angelo and Christine have enjoyed great success in their current and past businesses. Trying to keep things simple in all cases, provide good food and a warm family atmosphere for the patron. Angelo and Christine understand the importance of personal relationships and hospitality in operating a small business in a small town. Always taking the extra time to ask how their customers and their families are doing. They have built many lasting relationships over their numerous years in the restaurant business. Christine and Angelo realize that a small town community is not only about what happens directly to you but to those around you, this is why they try to help out in the community as often as possible. Whether it is donating to the local food bank at Christmas or donating to the local hospital, they understand that these donations help strengthen the community. Many of these efforts have not gone unnoticed, receiving many outstanding service awards from the local Chamber of Commerce as well as an Excellence of Customer Service Award, presented to them by local M.P.P. for Simcoe-Grey Region. 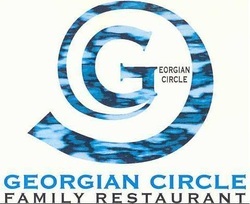 The Georgian Circle Family Restaurant offers daily lunch and dinner specials as well as their widely renowned Sunday brunch. Christine and Angelo hope that they can bring great food with a warm smile and a little feeling of home.